Clicking this link provides an overview of the many services we provide to automobile dealers. The sale or purchase of an automobile dealership (whether a stock or asset sale) is typically a complex transaction that can be difficult to close. Manning Leaver has worked on and closed hundreds of these transactions and provides all of the necessary legal services, including preparation of buy-sell agreements and related sale or lease agreements pertaining to real property, as well as guidance on factory approval issues, financing, and governmental licensing requirements. We also handle dealership buy-in transactions involving employees. Both public and privately held dealerships utilize the services of Manning Leaver for their buy/sell needs. Manning Leaver has been doing this work for over 60 years so when you come to us for buy/sell services you are in good hands. Manning Leaver provides legal guidance to vehicle, motorcycle and truck dealers regarding all types of factory-dealer issues. Over the years our firm has developed the expertise to handle this very specialized area of law, and has represented many vehicle, motorcycle and truck dealers before the California New Motor Vehicle Board. We have handled numerous protests from start to finish involving dealership terminations, add points, warranty and incentive audits, and relocation of dealerships. We can also help dealers negotiate contract terms with the manufacturers/distributors and advise dealers about their rights in the factory-dealer relationship. Manning Leaver is known for its litigation practice throughout California. The list below shows some of the litigation areas in which we practice. We always strive to resolve disputes without litigation, but there are times when the only way a matter can be resolved is through the litigation process. Manning Leaver defends automobile dealers against DMV accusations and provides representation in connection with the appeal of DMV decisions to the New Motor Vehicle Board. We also defend dealers against license actions and criminal charges brought by the California Attorney General, district or city attorneys, the Bureau of Automotive Repair, the Air Resources Board and others. Manning Leaver provides legal guidance to vehicle dealers regarding all types of factory-dealer issues. 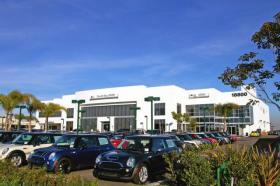 The firm also has the special expertise to represent vehicle dealers before the California New Motor Vehicle Board. We have handled numerous protests from start to finish involving dealership terminations, add points, warranty and incentive audits, and relocation of dealerships. We negotiate contract terms with the manufacturers and advise vehicle dealers about their rights in the factory-dealer relationship. Manning Leaver has written several publications specifically targeting advertising in the vehicle industry, including The California Auto Dealer Advertising Law Manual, the Dealer Management Guide, and F & I Compliance Manual distributed by the California New Car Dealers Association. Based upon our years of experience, we have developed an innovative program that is available for dealers where we can provide a legal review of dealer's advertising through the Internet. Manning Leaver has developed a F & I traning program to assist its dealer clients navigate the regulatory requirements in selling or leasing a vehicle, motorcycle or truck. As an integral part of this program, one of our partners will come to your dealership for a review of the dealership's F & I practices and provide an F & I traning tailored for your dealership's particular needs. Click on the title above for a description of the program. Manning Leaver assists vehicle dealers in complying with numerous regulations impacting the licensing and operation of an automobile repair facility, including those applicable to advertising, licensing and the forms used to perform service and repair work. Manning Leaver offers legal guidance to its clients, especially automobile dealerships, regarding both state and federal regulatory compliance issues. Services rendered by the firm in this area include reviewing advertising, handling occupational licensing issues, private F&I seminars, and developing privacy policies, identity theft protection programs and information safeguards programs. We are the authors of the various manuals which are published and distributed to California vehicle dealers by the California New Car Dealers Association. Please Click here to see the Table of Contents of the following manuals: California Auto Dealer Adverstising Law Manual; California New Car Dealers Association Dealer Management Guide; and California New Car Dealers F&I Compliance Manual. We represent some of the largest and most important automobile dealer associations in the state of California, such as the Califonia New Car Dealers Association (the statewide associaiton of new car dealers), the Greater Los Angeles New Car Dealers Association (new car dealers located in Los Angeles County), and various other automobile dealer advertising associations.